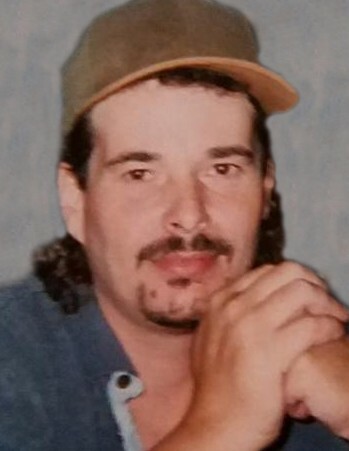 Age 53 of Wilmington, Illinois and formerly Cincinnati, Ohio, passed away February 10, 2019 at the Joliet Area Community Hospice Home. Born April 1, 1965 in Frankfort, Kentucky, Douglas is a son of George and Carolyn (Jones) Stewart of Greenville, South Carolina. Doug worked as a self-employed general contractor, and owned and operated Quality First Construction and Remodeling in Wilmington. In addition to being one whom enjoyed spending time at home either watching movies or playing on the computer, Doug also enjoyed getting together with friends to grill and hang out. He took pleasure in fishing, hunting and go-karting, and was a huge fan of Six Flags, where he loved going with friends and family. Survivors include his parents; wife, Niki, whom he married September 3, 2003; son, Nicholas of Mt. Prospect; daughters: Lydia Joan Claar of Lockport and Carolann Grace Stewart of Wilmington; two brothers, Jeff (Lori) Stewart of Greenville, SC and Phil (Rochelle) Stewart of Memphis, TX; nieces: Ashley (Mike) Garitty, Courtney Stewart and Natalie Stewart; his father-in-law and mother-in-law, Joseph and Deborah Claar and numerous aunts, uncles and cousins. Doug was preceded in death by one brother, Bobby Stewart. The family will receive friends for a visitation on Friday, February 15, 2019 from 3:00 p.m. until the time of funeral service 6:00 p.m. at Baskerville Funeral Home, 700 East Kahler Road in Wilmington. Pastor Matt Troester from St. Paul Lutheran Church in Matteson will officiate, and cremation rites will be accorded following the services. Preferred memorials may be made to Doug’s family for their distribution.